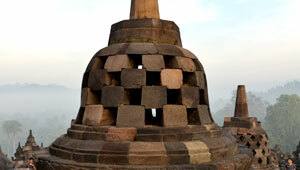 Day 1: Arrival and our crew will bring You to Borobudur area Borobudur is most famous Buddhist temple in Indonesia. 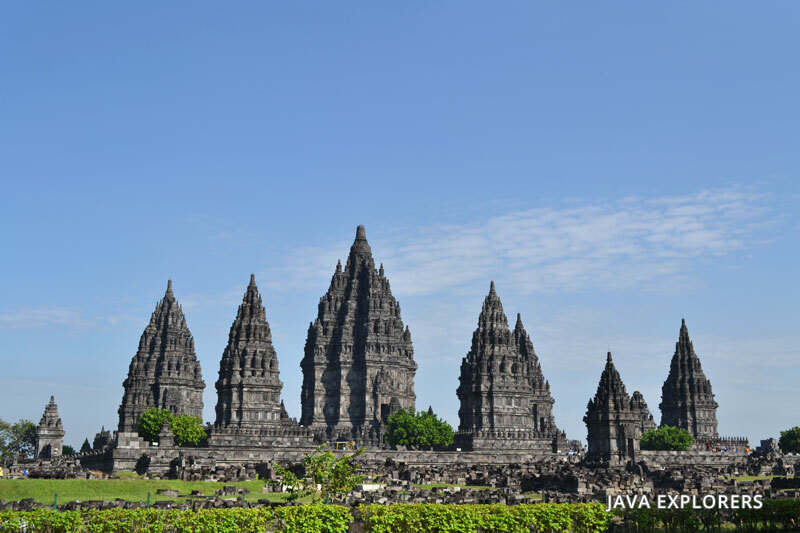 This temple was built on 8th century by Buddha Mahayana adherents along Wangsa Syailendra period. 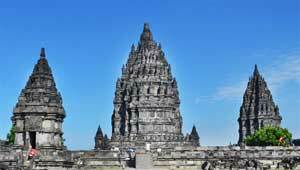 Predicted the temple was built start at 824 by the King Samaratungga and finish around 900 which the kingdom already lead by queen Pramudawardhani (Samaratungga's daughter). 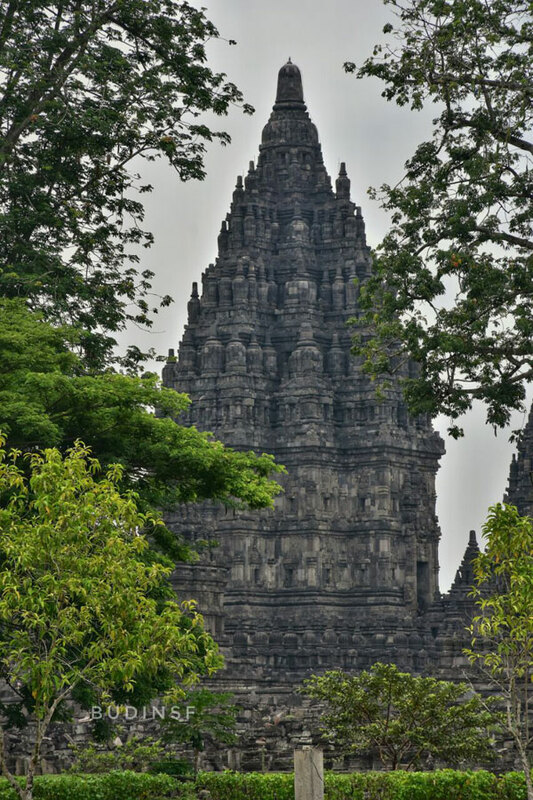 And the person who really has influence the architecture is Gunadharma. 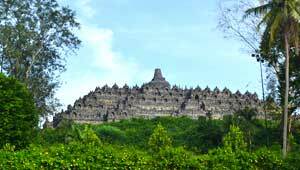 Borobudur name is took from Sansekerta language it's means Temple on hills and from the beginning they built the temple it's become a sacred temple for Buddhist adherents. 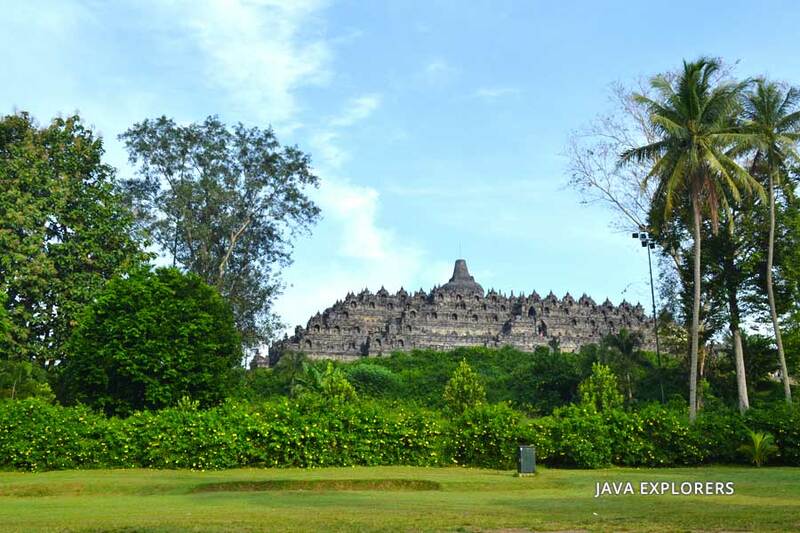 For unknown reason Borobudur didn't used for centuries and affected by the eruption of Merapi volcano Borobudur was covered by volcanic ash, trees and bushes. 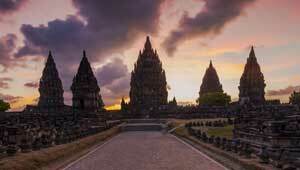 Especially when Islam influence Indonesia around 15th century. 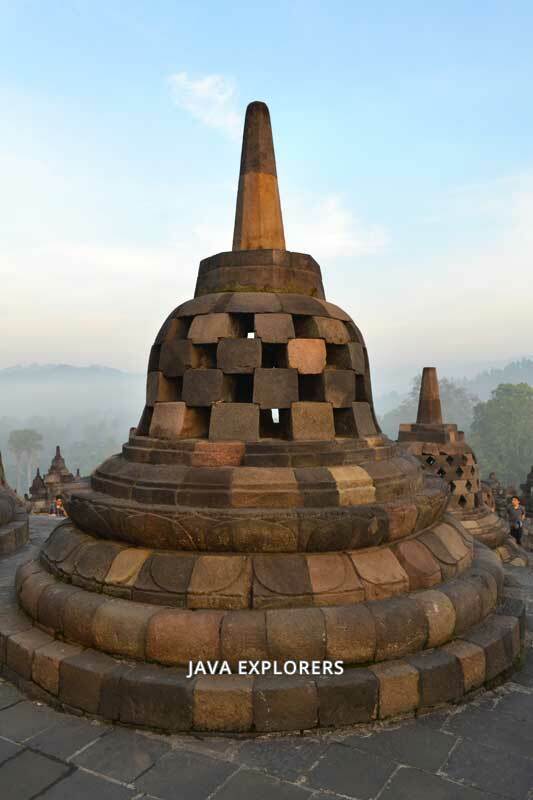 On 1814 Sir Thomas Stamford Raffles ( one of England influence person on that period) he order H.C. Cornelius (Dutch engineer) to explore a big discover on hills helped by 200 people they clean the hills from trees and bushes finally on 1835 they finish to explore all part of Borobudur. 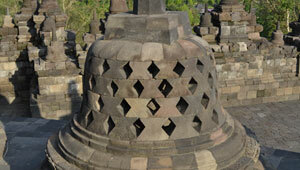 Borobudur temple is located in Magelang Middle Java it's about 40km from Jogjakarta. 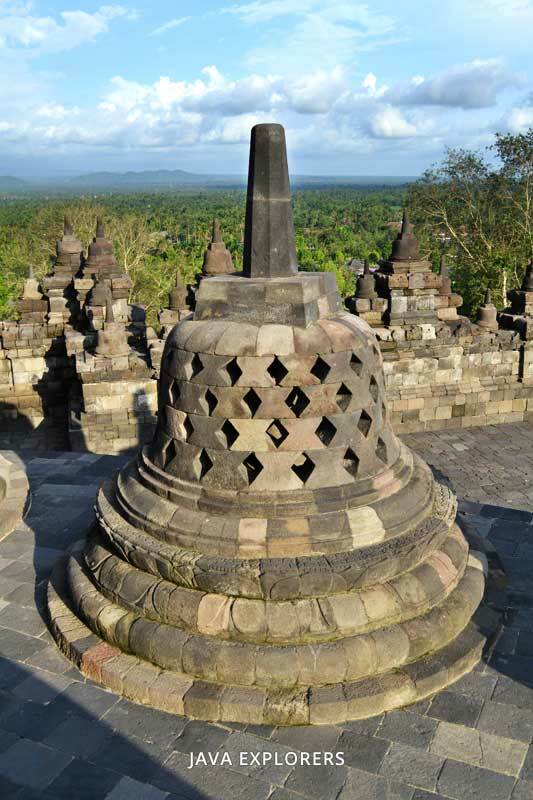 There are about 10 level in Borobudur temple with some stupa on every level totally 72 stupas on it except the main stupa and we can found Buddha sculpture for every single stupa. 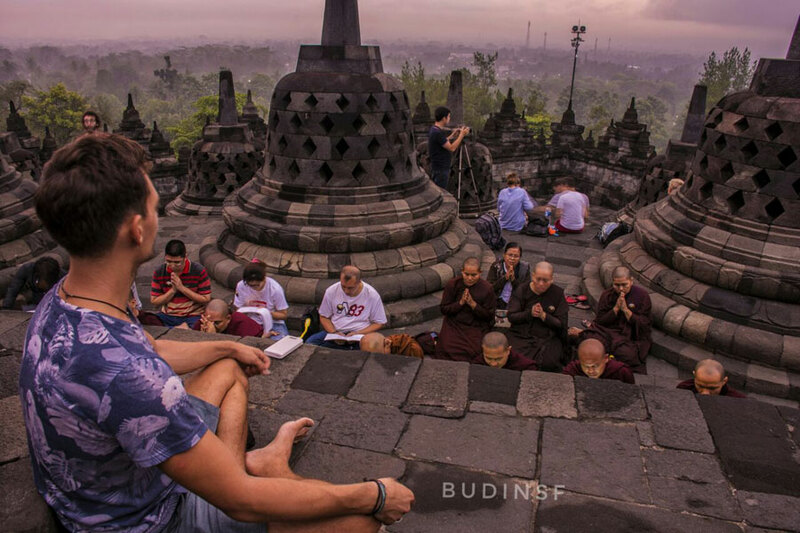 10 level expressing of Buddhist philosophy which they need to pass 10 different level process of life to get the perfection of Nirvana, rocks-sands-vegetations-insect-beast-pet-reincarnation-human-soul and finally nirvana. Day 2: early morning drive to chase sunrise at Situmbu hill by walk 300mtrs from the parking lot after enjoy the beautiful sunrise back to the Hotel for was and Breakfast then drive to Kaliadem village in 1h to start explore Merapi volcano neighborhood to see how big the effect of eruption on 2010. 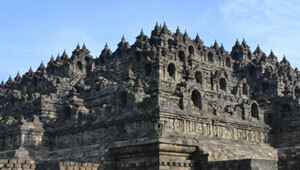 Continuing drive to Jogjakarta to visit Sultan palace and Water castle . The elegant Sultan Palace (Keraton) located in the centre of Jogjakarta, built on 1775 by Prince Mangkubumi or most famous called Sri Sultan Hamengku Buwono I. its built right between Winongo river and Code river, a dried swamp land. The front yard Sultan Palace called northern square and the back yard called southern square. 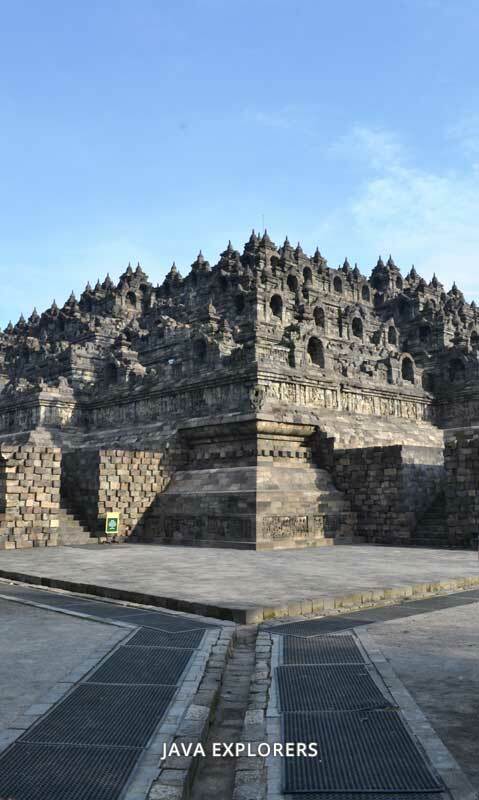 The design of this building shows how is Sultan Palace , Tugu (Jogjakarta landmark) and Merapi volcano lay in a zline and people believe it as a sacred thing, in past the Sri Sultan used to medicated in one part of the line before he lead some meeting or give an order to his men. 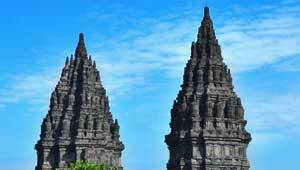 Sultan palace itself reflecting symbol and meaning of Religion, Philosophy and Culture. 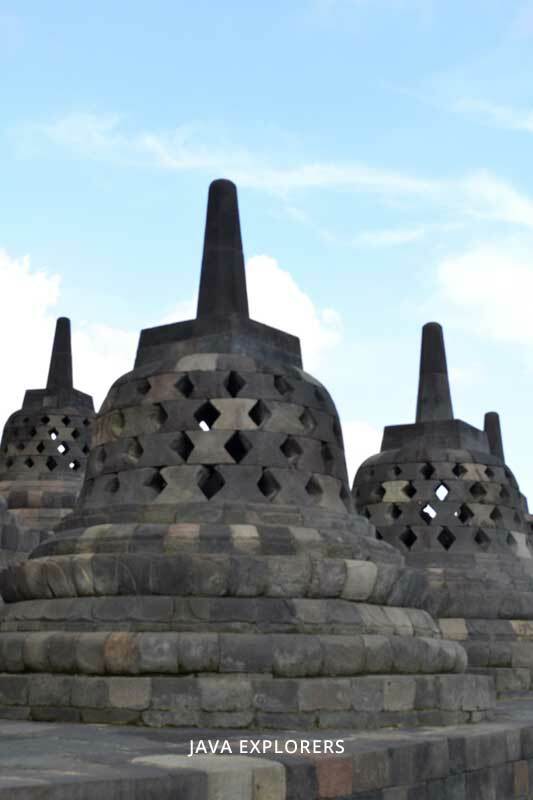 The huge of Sultan Palace is 14.000 m square and all designed by Sri Sultan Hamengku Buwono I. 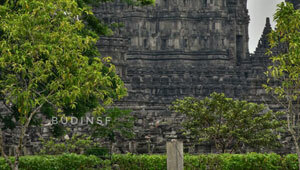 And Water Castle (Tamansari) still related with the main building Sultan palace its located 500m at the southern of the Palace, the architect of this castle is a Portuguese it's mixed of European and Javanese style. The castle divided it in 3 different main parts, First is Sacred part were a building looks different in a corner in past Sultan and family used this part for meditation. Second is swimming pool where Sultan and family spend the time for relaxation. 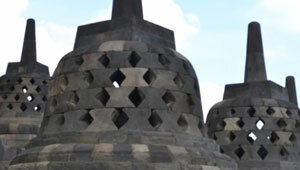 Third is Kenanga part with tunnel inside it which connecting Water castle and Sultan palace. 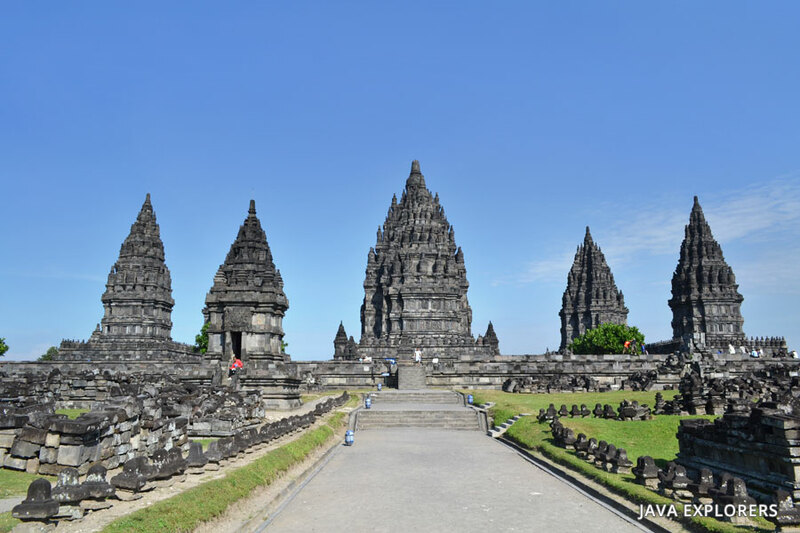 Check in to nearby hortel, late afternoon drive to visit Prambanan temple This beautiful temple was built on 9th century by 2 different Kings (Rakai Pikatan and Rakai Balitung) with the height 47m means taller 5m than Borobudur temple. 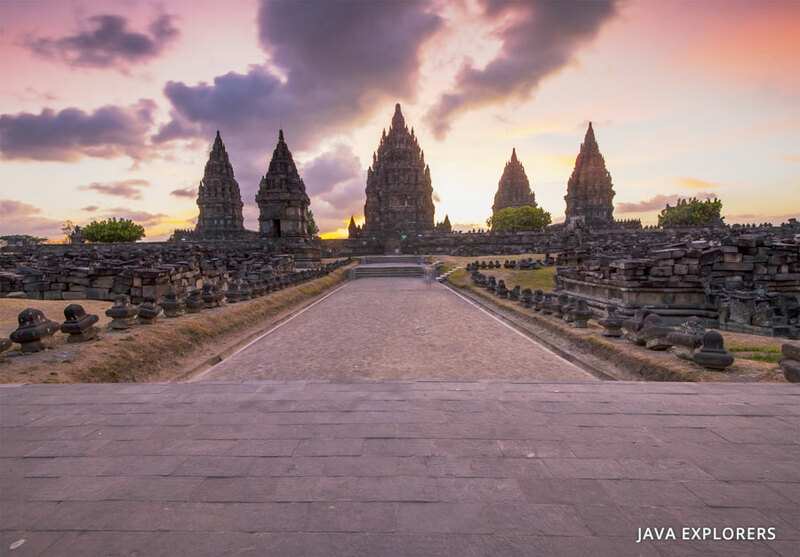 Located 17km at the eastern of Jogjakarta this temple reflecting the glory of Hindu period in the past. 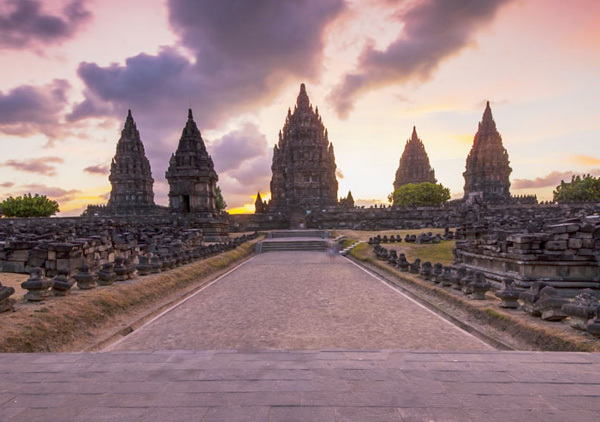 In main yard Prambanan has 3 temples facing to the east, Vishnu temple, Brahma temple and Shiva temple and each temples has accompany temple facing to the west. 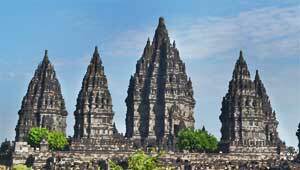 Garuda for Vishnu, Angsa for Brahma and Nandini for Shiva there about 234 other temples surrounding main temples. 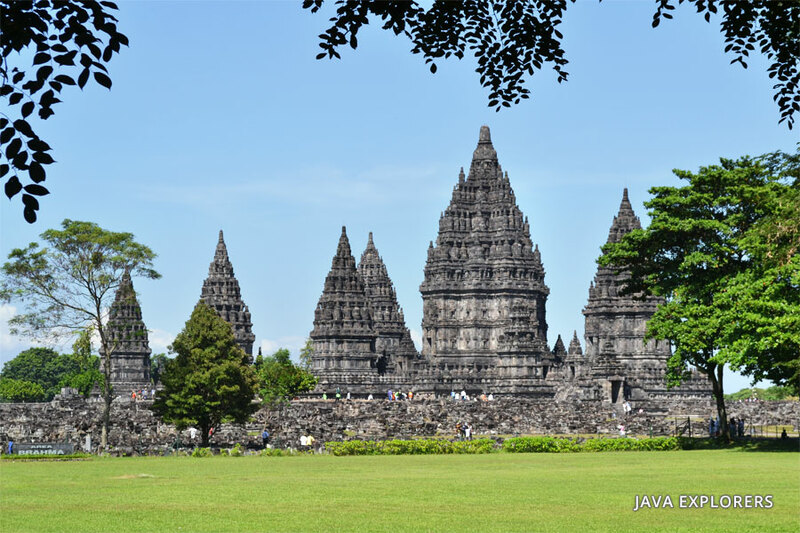 Reliefs in Prambanan lade about Ramayana story and another interesting reliefs is Kalpataru tree which symbolic of life tree for Hindus adherent. 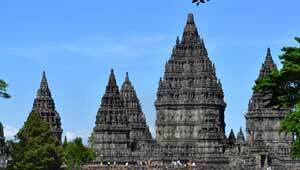 Nowadays Indonesia Kalpataru symbol used for one of foundation which really concern with environment end the day by Ramayana dance performance and back to the hotel for overnight. 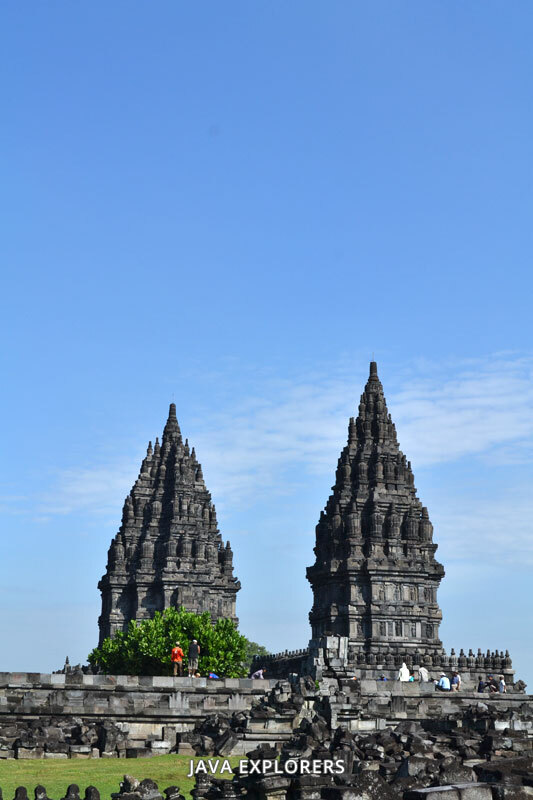 Day 3: our crew will drop off you back to the airport, train station, bus station or to your next hotel around middle Java.